Mikel Obi's omission from the Nigeria squad is down to the player himself, and will continue until he makes the decision to return, according to coach Gernot Rohr. China-based Mikel and fellow midfielder Ogenyi Onazi were two of the high profile absentees from Rohr's latest squad for next month's 2019 Africa Cup of Nations qualifier against South Africa, and a friendly against Uganda three days later in Nigeria. Mikel has not played for Nigeria since the World Cup earlier this year, despite playing for his club Tianjin TEDA. "Mikel told me that he will tell me when he will be ready to come back. He didn't tell me yet. So I wait," the German said. Despite that, the coach hopes to have his captain back in time to take part at the tournament proper: "I hope that we can go with him to Afcon and win it for him." As for Onazi, Rohr pointed to medical reasons, shutting down suggestions of a rift with one of his senior players: "Onazi had a problem with injury. He left Uyo before the match against Libya [earlier this month]. "I have to be aware of the health of our players. We didn't want to do injections on Achilles tendons before the games." With Wilfred Ndidi suspended after an accumulation of yellow cards, the Super Eagles look short of midfield options. But Rohr insists that he has more than enough cover: "We have four defensive midfielders. [Oghenekaro] Etebo, Mikel Agu, John Ogu and Semi Ajayi." 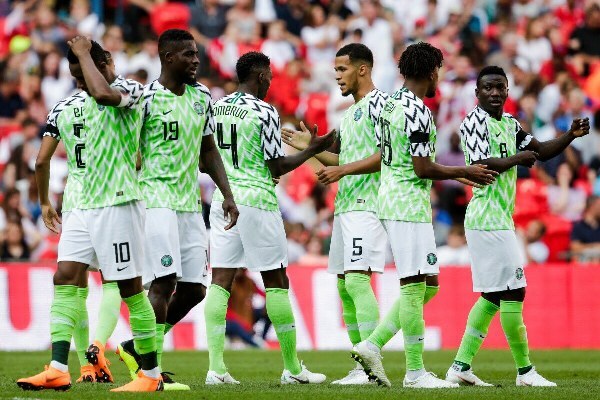 Group leaders Nigeria take on South Africa on 17 November in Johannesburg, needing just one point to guarantee qualification for their first Afcon appearance since winning the title in 2013. They then return to Nigeria where they host Uganda in a friendly at the Stephen Keshi Stadium in Asaba.